Pro baseball is back in Fayetteville, NC! Construction is under way to create an incredible new stadium complex in downtown Fayetteville, North Carolina. Follow progress updates on this major investment into the area's revitalization as we get closer to Opening Day 2019. Secure your Season Tickets now and rest easy knowing your seats in the ballpark are reserved. 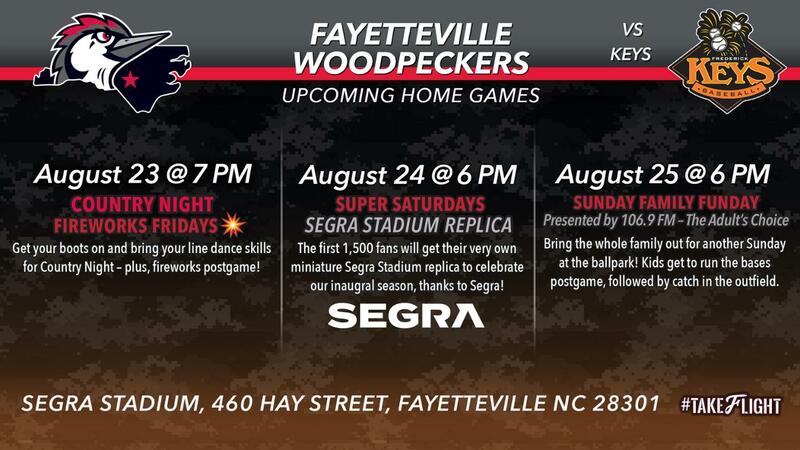 Enjoy seventy regular season home games with the Fayetteville Woodpeckers and be part of the newest tradition in America's Hometown... a night out at the ballpark!